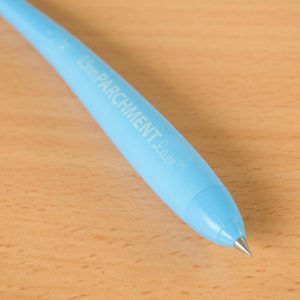 The parchment lace vellum glue works perfectly with the parchment paper, giving very little show underneath the clear parchment to give a more professional finish. This glue allows you to glue sheets of parchment onto parchment, paper and card only use a small amount of this glue, press the papers together to make the adhesive thinner.works great on plain vellum, plain parchment, white & ivory card. 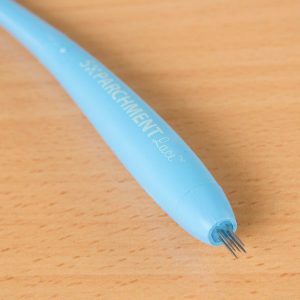 Includes applicators for precision gluing, creating no fuss no mess crafting. 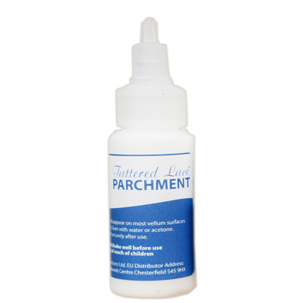 This parchment glue is a store cupboard essential.